Meet the Donelly family from Ireland that has the unique distinction of being the oldest family in the world. 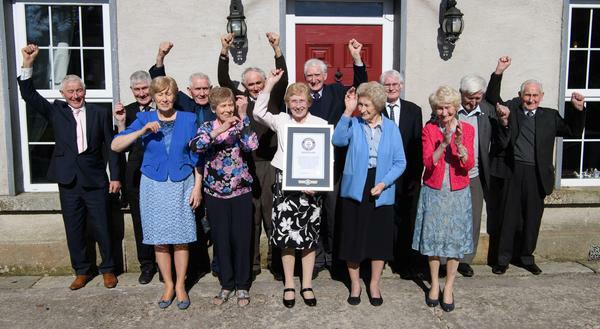 With combined age of 1075 years, these 13 siblings have been given the Guiness World Record for being the oldest family. Guess what is the success of this longvity that seems to run in this family? Oats! This family eats a bowl of porridge made with full grain oats and milk every morning. Their love for oats does not end there. These siblings eat a bowl of this porridge before going to bed too! So they credit their longivity to oats eaten before going to sleep and oats eaten soon after waking up. That is a lot of oats, right? They also stress the fact that they avoid alcohol and processed food. They are used to hard work and eating fresh produce as they lived on a farm with their parents when they were little children. Clearly all these factors have given this family the right to call themselves "the oldest living family in the world!" How to Make Oats More Palatable? Punjabis Are Hilarious, This Man Proves It!